Ever since the deal was first announced four years ago, Marvel and Netflix’s superhero output has been building to the climactic events of The Defenders, the crossover crown jewel. But it turns out that the long-awaited team-up of NYC’s mightiest (and hardest drinking) heroes will end up being the least-seen of all the shows. Here’s where we point out that Netflix always disputes the accuracy of these kind of third-party viewing statistics. But even if Jumpshot’s numbers were off a bit, that still represents a huge drop for the show that everything the Marvel Netflixverse has been leading to. It’s hard to point to one specific thing about The Defenders that would make people not want to tune in—it had problems, but it was mostly a pretty great crossover. Could it be the spectre of the bad reviews of Iron Fist? Are people just tired of the spectacle of superhero streaming shows? It’ll probably be up to see how The Punisher—a spinoff of an immensely popular aspect of the immensely popular Daredevil season two—performs in its first 30 days before we can really make a judgement about whether this is an overall trend or an anomaly. 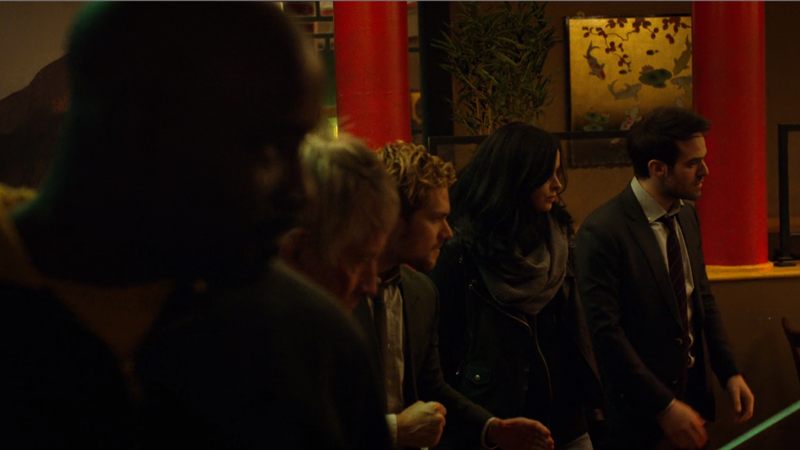 But for now, it seems like the Defenders are better off apart from each other.